•Import Danish motors; elevation is steady and with less noise. •Chair is elevated electronically, able to bear the heavy weight. 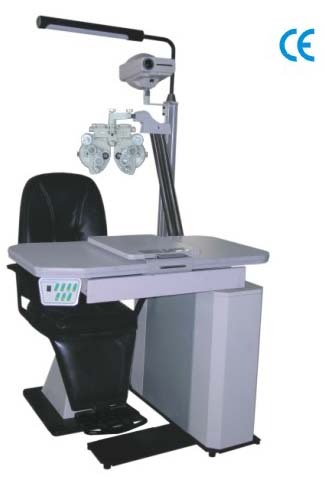 •The arm for phoropter is swung electronically. •The table could be rotated for 90 degree. •The table could hold one instrument, easy to conduct. •Different color of table and chair could be chosen.